Red cells are the most often transfused blood components during the neonatal period. The aim of the present study was to obtain information regarding the relationship of red cell transfusion with clinical outcomes and to evaluate red cell transfusion practices in neonatal centre of a tertiary care centre. The clinical history, blood component details and laboratory parameters were evaluated with clinical outcomes. The neonates requiring transfusion of red cells were then followed up in the Blood bank for various laboratory parameters. Clinical parameters and clinical outcome were noted from case files. During the study period, 291 neonates were admitted in NICU. 2 neonates were excluded as they were congenitally malformed. Out of 289 admitted neonates, 61 neonates (21.1%) received blood and blood component transfusions. Out of 61 neonates, 20 received red cell transfusions. Mean donor exposure of red cells was 1.2. The mean volume of transfused red cell was 39.6 ml with mean age of red cells was 3.6 days. The mean pre- and post-transfusion Hct was 25.3 and 30.4%, respectively. The most common indication for red cell transfusion was low haemoglobin. There was a significant increase in lactate level and decrease in base excess in transfused neonates. However, no statistically significant correlations were found between transfusions and neonatal weight gain, apnoea, respiratory support and mortality. 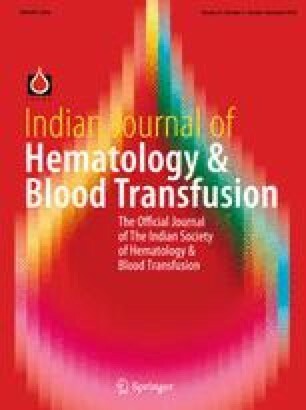 Transfusion of red cells has significant effect on laboratory parameters as compared to clinical parameters such as weight gain, episodes of apnoea and respiratory support. Institutional. All procedures performed in studies involving human participants were in accordance with ethical standards of the institution committee and with the 1964 Helsinki declaration and its later amendments or comparable ethical standards. Informed consent was obtained from all individuals.